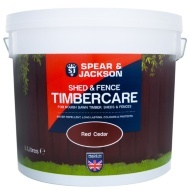 Spear & Jackson Shed & Fence Timbercare. 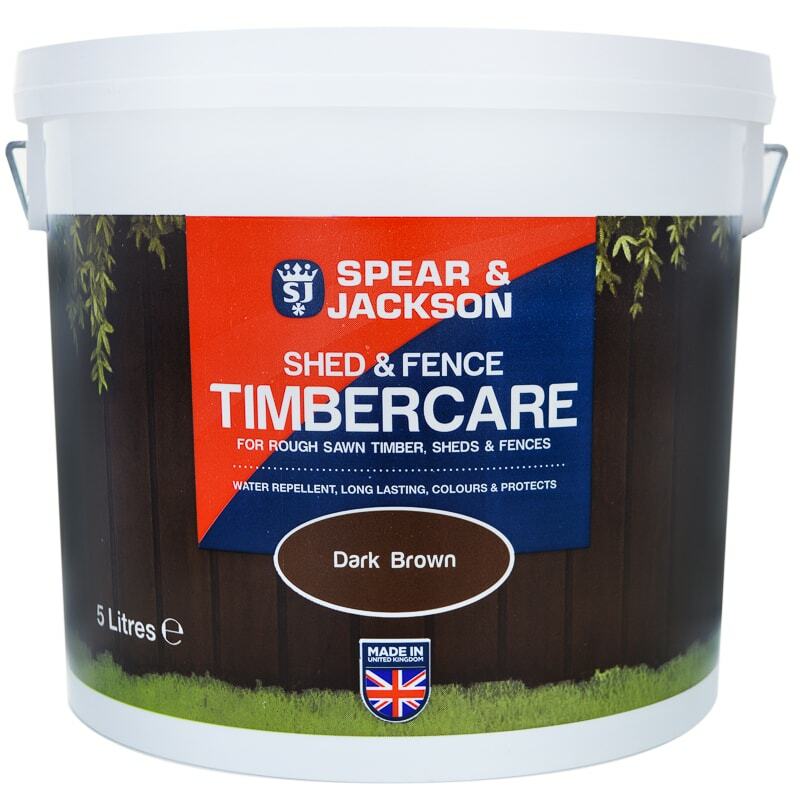 Spear & Jackson Shed & Fence is a water based paint that’s easy to use, offering decorative protection for rough sawn timber, garden sheds and fences. 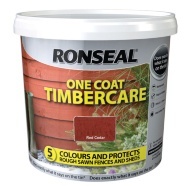 The special pigments ensure rich colour and even coverage every time. 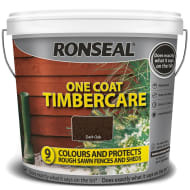 Browse more Exterior Paint online, and buy in-store at B&M. 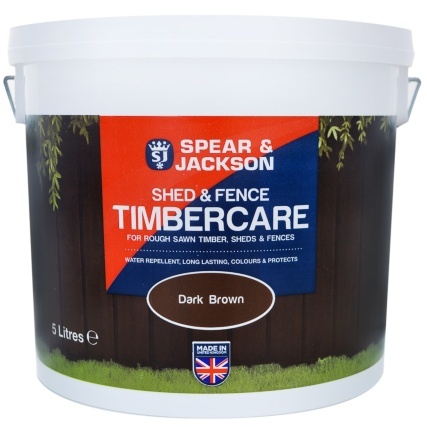 This 5L container will cover approximately 30m² depending upon the condition of the wood.